The Australian state of New South Wales boasts many accolades. Not only is it home to Australia’s biggest and busiest city – iconic Sydney – but it’s also home to the country’s highest peak, its very first winery, and is the birthplace of Australia’s obsession with surfing. Covering an area of 809,444 km² in south-east Australia, there’s a lot of ground to cover on a New South Wales itinerary. So it’s worth saving up your holiday leave for, or embarking on a trip as a retirement holiday. 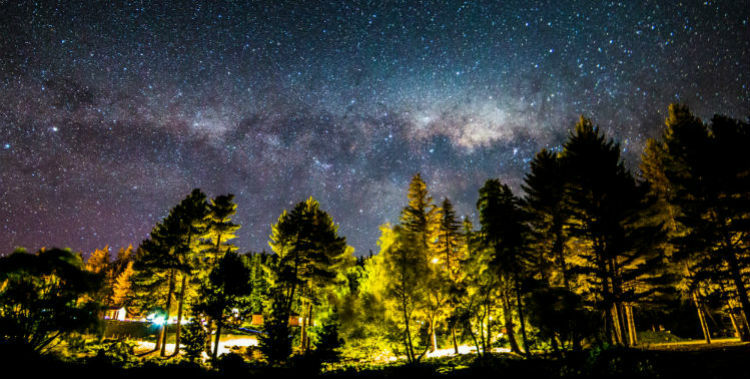 To make the most of your time in this incredible part of the world, we’ve compiled this mini-guide that includes things to do, attractions to see, where to stay, and how to get there. As we’ve mentioned, New South Wales is expansive and it’s difficult to tick everywhere off your list – but we recommend that the following five things make your final itinerary. 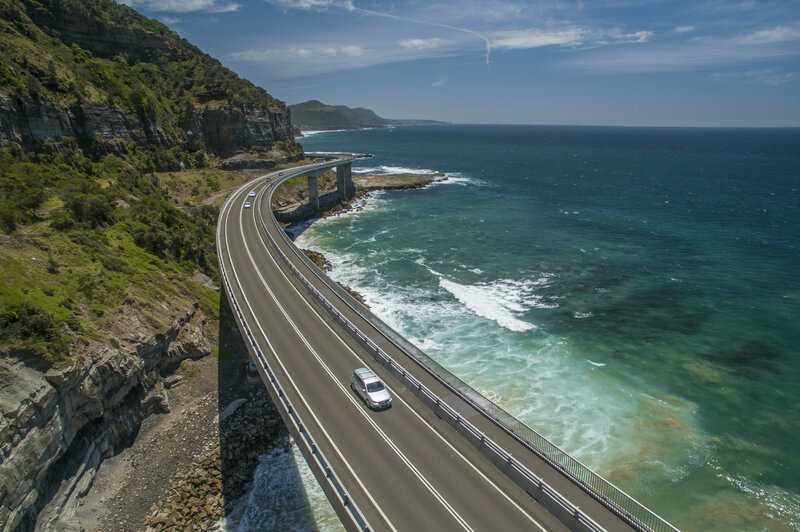 Here are three of the incredible road trips on offer in New South Wales: The Grand Pacific Drive (on the South Coast from Sydney to Shoalhaven); The Legendary Pacific Coast (up the North Coast from Sydney); and the Greater Blue Mountains Drive (through the World Heritage-listed Blue Mountains). The drives vary in length and we recommend taking a few days to enjoy them and to explore the towns along the way. Whales migrate in their thousands along the New South Wales coast, with Humpback and Southern right whales a common sight. 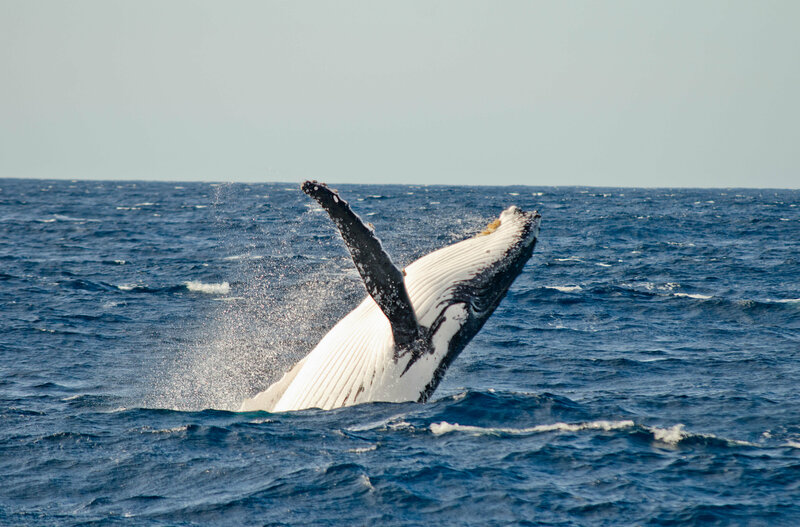 You can book yourself onto an organised boat tour from towns including Jervis Bay and Port Stephens, but there are many vantage points along the coastline where you might be lucky enough to spot whales in the distance. 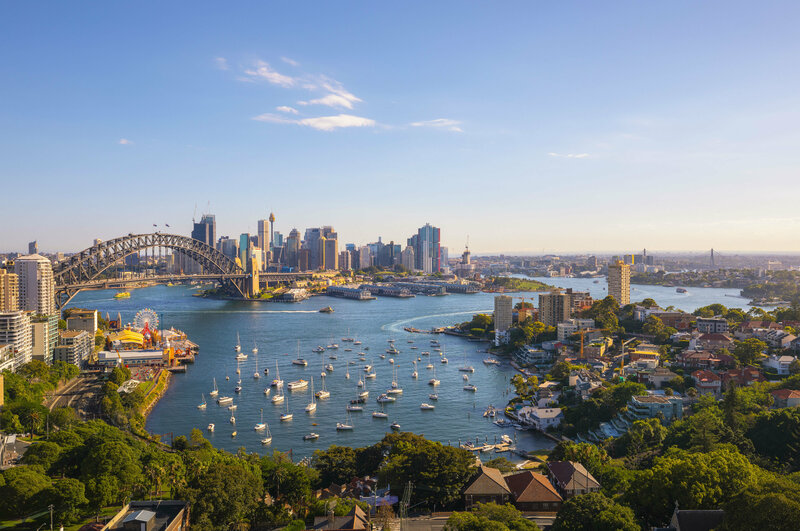 There are 38 vantage points in Sydney and in the surrounding area, including two spots near popular beaches such as Bondi Beach and North Head lookout near Manly. 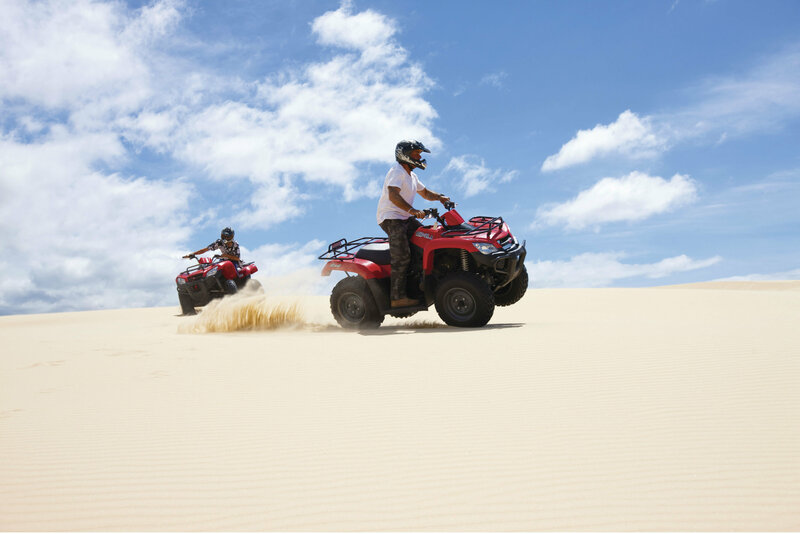 Adrenaline-seekers are in for a treat in New South Wales. Try hang-gliding and skydiving in Wollongong, snorkelling in Byron Bay, quad-biking in Port Stephens or abseiling in the Blue Mountains. You can even try white-water rafting on an Olympic course in Penrith Whitewater Stadium in Sydney’s west. The home of Australian surf culture is Freshwater, on Sydney’s northern beaches, where Hawaiian surfer Duke Kahanamoku popularised surfboarding in the summer of 1914-15. 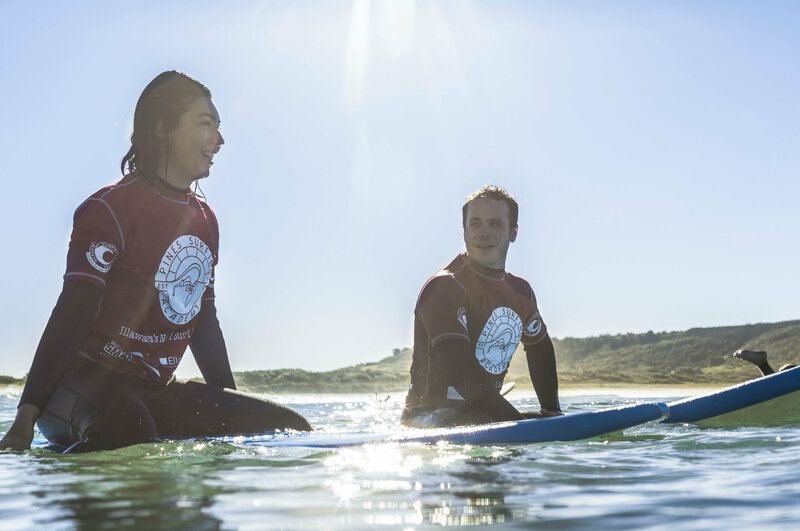 Surfing tours depart from Sydney to world-famous surf breaks on both the South Coast and North Coast of New South Wales. Broken Hill, a remote mining town, is a good place to start an outback adventure, where you can take part in a heritage trail of the town’s mining history. Nearby you can also admire Aboriginal rock art – dating back thousands of years – in Mutawintji National Park. Then there’s the town of Silverton, which has been attracting filmmakers for decades. 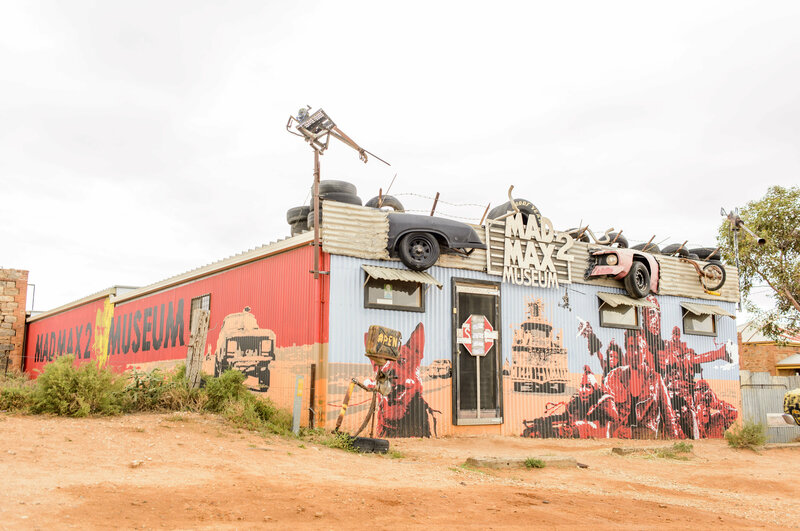 The tiny township and the surrounding areas have featured in many popular movies, including Mad Max 2, Mission Impossible 2, Razorback and The Adventures of Priscilla, Queen of the Desert. Australia is famed for its wineries and New South Wales is no exception. The Hunter Valley (north of Sydney) is Australia’s oldest winegrowing region; offering both historic family-owned businesses and up-and-coming wineries. Mudgee (northwest of Sydney), the Southern Highlands and Orange (west of Sydney) are the other wine regions that are popular with visitors. 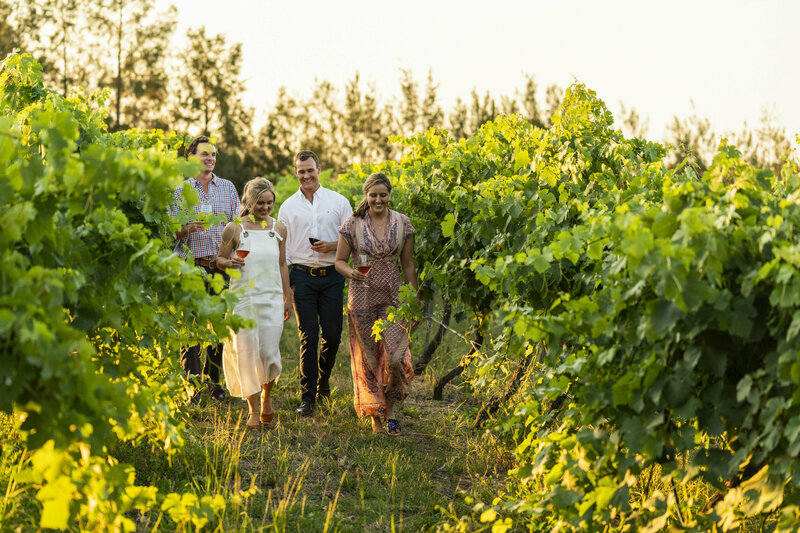 To explore the best produce in New South Wales we recommend a journey along a dedicated food and wine touring route. You can join an organised tour or rent a car to follow them at your own leisure. Popular trails include Hawkesbury Harvest Farm Gate, the Hunter Valley’s Around Hermitage Food and Wine Trail, the Southern Highlands to South Coast trail, and the Poachers Way in the Canberra district. New South Wales boasts a variety of accommodation types to suit all styles and budgets. If you are seeking something special, a self-contained apartment or spa resort might suit your plans more. 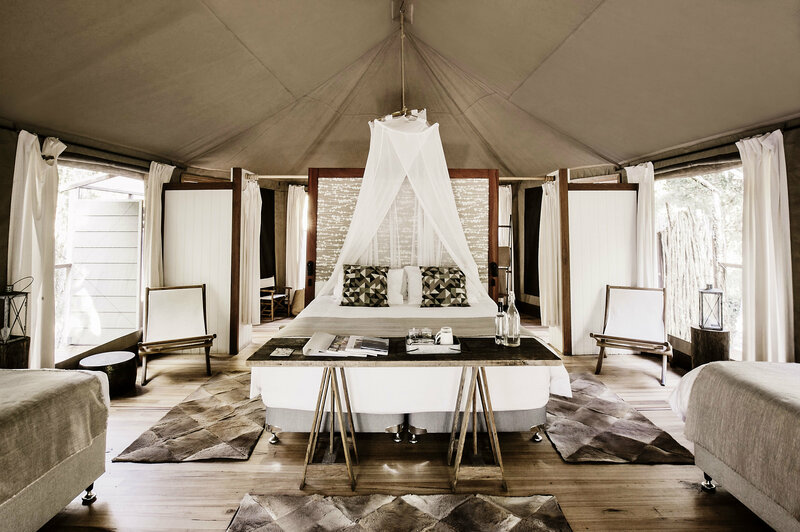 You can also spoil yourself with a spot of glamping. changeover locations including Singapore, Dubai and Los Angeles (the perfect excuse for two holidays in one!). Sydney Airport is about 10km from the city centre and easily accessible by train, bus or car. Trains depart frequently from underground stations in the airport’s domestic and international terminals, while public buses depart from bus stops outside T1 and T3 (but not T2). There is also a taxi rank outside, and at the T1 and T3 information desks you can book a Shuttle Bus that takes you directly to your hotel. When it’s time to explore regional New South Wales, it’s best to opt for a rental car or an escorted tour. These are best booked in advance through your Travel Consultant, who can help you get the best price. January is the warmest month, with an average temperature of 18.6–25.8°C, and the coldest month is July, with an average range of 8–16.2°C (46–61°F). Popular shopping precincts in Sydney are open seven days a week, from 9am-10am to 5.30pm. On Thursdays, stores open until 9pm. City supermarkets are open for up to 24 hours. The currency is the Australian dollar (AUD). There are two time zones in NSW: Australian Central Standard Time and Australian Eastern Standard Time. Adelaide isn’t called The Festival City for nothing. In the months of February and March, the city comes alive with the sound (and visuals) of the Adelaide Festival, WOMADelaide and – of course – the Adelaide Fringe Festival. Fringe Festivals take place all over the world – with Adelaide clocking in as the second-biggest (after Edinburgh) as well as the largest in the southern hemisphere. It’s an open-arts festivals where artists and performers of various disciplines can apply and are chosen at random rather than by a panel of curators. March time is – unsurprisingly – Adelaide’s busiest time for visitors, with roughly 2.7 million attendees at 2018’s Fringe Festival. If you’re planning to visit 2019’s Festivals in the city, here’s everything you need to know before you go. The next Adelaide Fringe Festival will be held between 15th February and 17th March 2019 – with 400 venues participating, Adelaide Festival opens 1st March and runs through to 17th March with the headline performance of Mozart’s Magic Flute and iconic WOMADelaide a 4-day festival celebrating music, arts and dance from 7th to 10th March. If you’re planning on visiting, remember that this is late summer for Adelaide with temperatures reaching highs of a gorgeous 28°C. The city is bursting with culture, flavours, events and entertainment throughout the period and golden beaches can be found on Adelaide’s doorstep. Taste your way through world-famous wine regions only minutes away, soak up the sun, join the party at our immersive festivals and events or spend the night exploring Adelaide attractions and a thriving restaurant and bar scene. The official guide won’t be released until December, but Adelaide Fringe has confirmed that 125 acts have been booked already. Every year the acts cover a wide range of disciplines ranging from theatre to dance, and comedy shows to cabaret. There are also always shows that cater towards family and children. In the first programme announcement for Adelaide Festival, Barrie Kosky’s electrifying contemporary take on Mozart’s The Magic Flute – a blend of live opera with Tim-Burton-style animation and a silent film aesthetic – is set to be a highlight of the 2019 line-up. Individual performers look after their own tickets, but when the schedule is ready it will have links to any online ticket websites, click here for details. There are both free and paid performances. Adelaide Festival tickets can be booked here from 22nd August. Are there any other festivals on at the same time? Yes – it isn’t called Mad March for nothing! The Adelaide Fringe, WOMADelaide, and Adelaide Festival of Arts are all on at the same time. Are there any side events on? Events are still to be formally announced, but there’s usually an Opening Night Street Party and nightly street markets. How do I get to Adelaide? To get from the UK to Adelaide you will need to stop over somewhere else (perfect excuse for two holidays in one!). The most popular places to stop over are the Middle East and South-East Asia. If you’re heading out to a full day of shows, take what you would in your normal handbag. Remember lots of physical money though, as some food vendors won’t have card machines, and some venues won’t allow opened bottles of liquid.